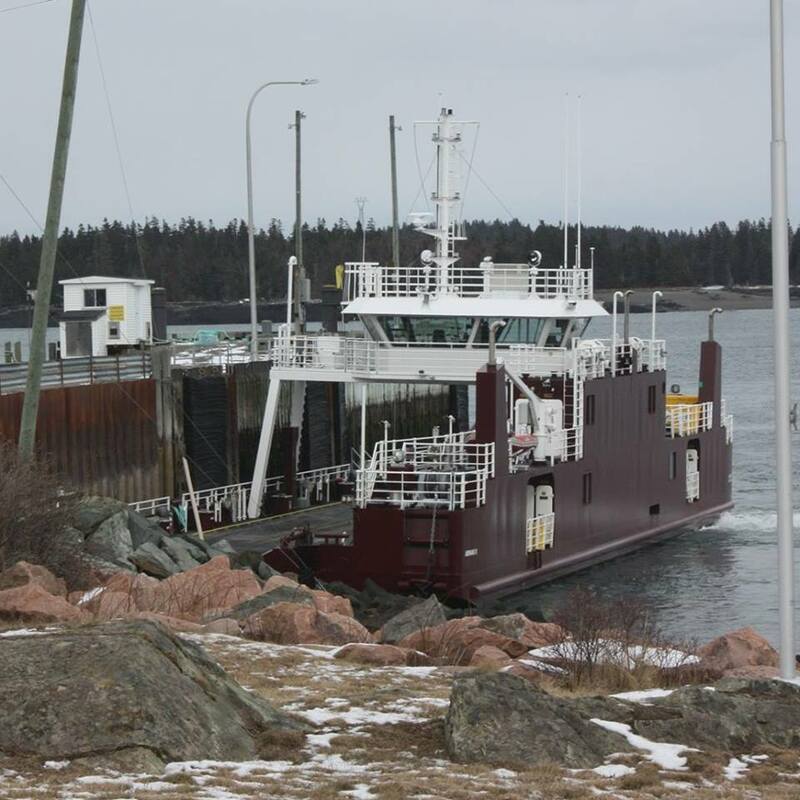 The Abnaki II Ferry provides service between L’Etete and Deer Island in New Brunswick. The run is a 12 minute inner coastal transit that can have tides up to 25 feet. 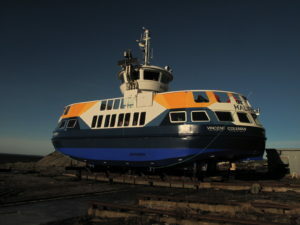 The ferry is a double ended passenger and car self-propelled ferry. The ferry was designed by E.Y.E. 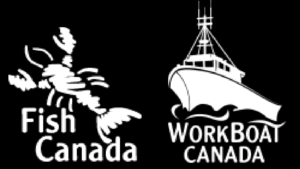 for the New Brunswick Department of Transportation and Infrastructure (NBDTI) in 2013. 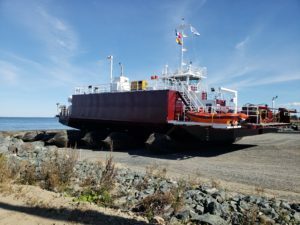 The ferry was built by CFM in Saint John NB, completed in 2016 with EYE providing the onsite representation and technical advisor services for NBDTI. 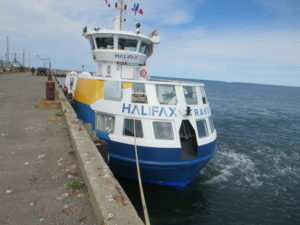 The ferry entered service in 2016 with Coastal Transport and was registered with Transport Canada at that time. 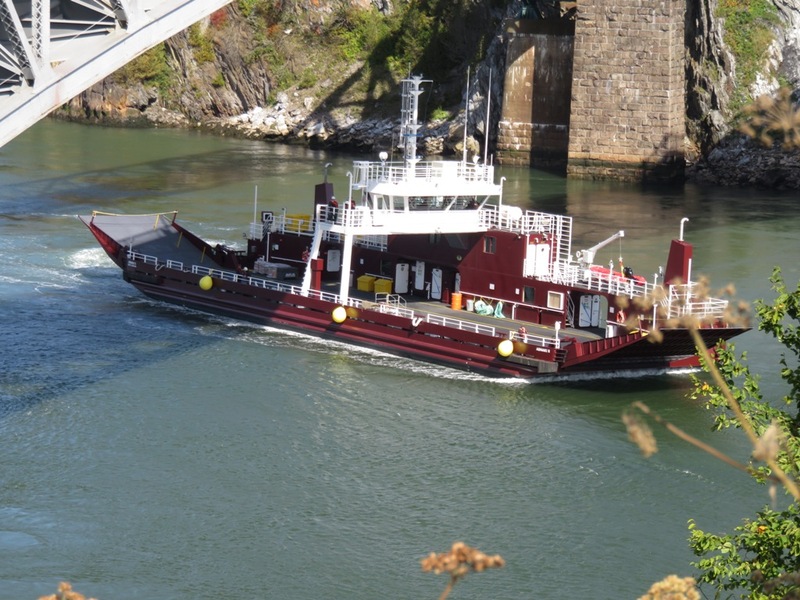 The ferry is fitted with two Caterpillar C12 engines that each drive a Voith Schneider Propeller. The speed and direction control are done through two joysticks at the helm, each one controlling an engine/propeller combination. The propulsion system is fitted with overload controls which aide the operator in preventing doing damage to propulsion components through pitch and RPM control. The cooling for the propulsion system is provided through box coolers. The void spaces below the car deck are all fitted with forced air heaters which use the engine cooling circuit to heat the spaces and help in the winter with the ice and snow clearing from the car deck. The electrical power on board the ferry is provided by a summer generator (35kW) and a winter generator (76kW) with a connection for shore power when the ferry is at the dock overnight. 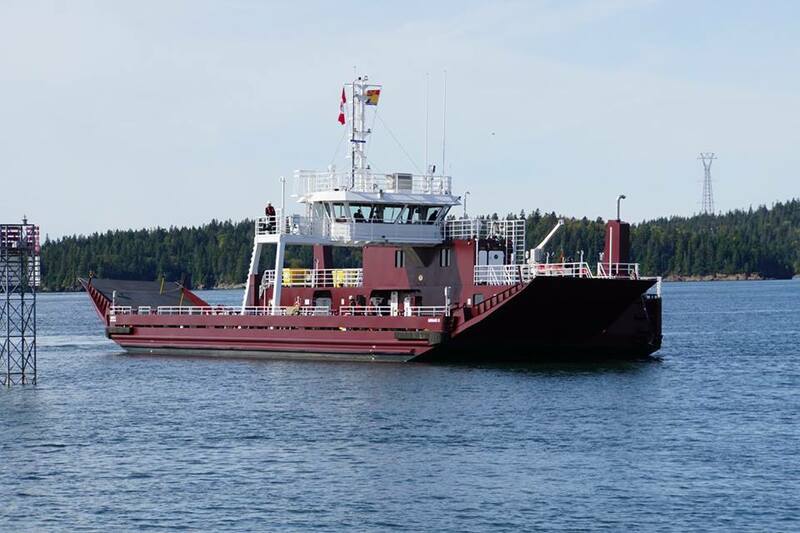 The ferry is outfitted with all Transport Canada required safety appliances, pollution control gear and navigational equipment. The cathodic protection on board the ferry is provided through an impressed current system along with anodes where necessary. The ferry is steel construction with an aluminum wheelhouse supported by a gantry structure over the car deck. 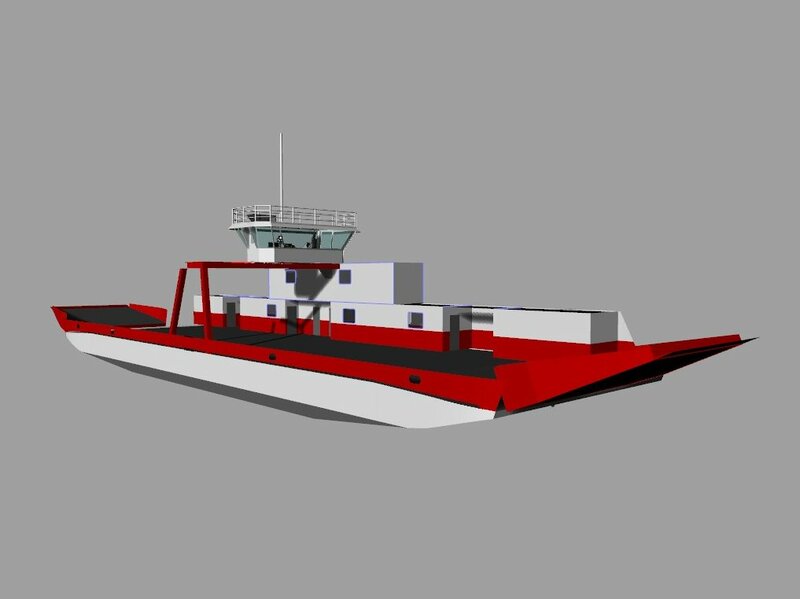 The ferry scantlings were designed in accordance to ABS Rules for Building and Classing Steel Barges. 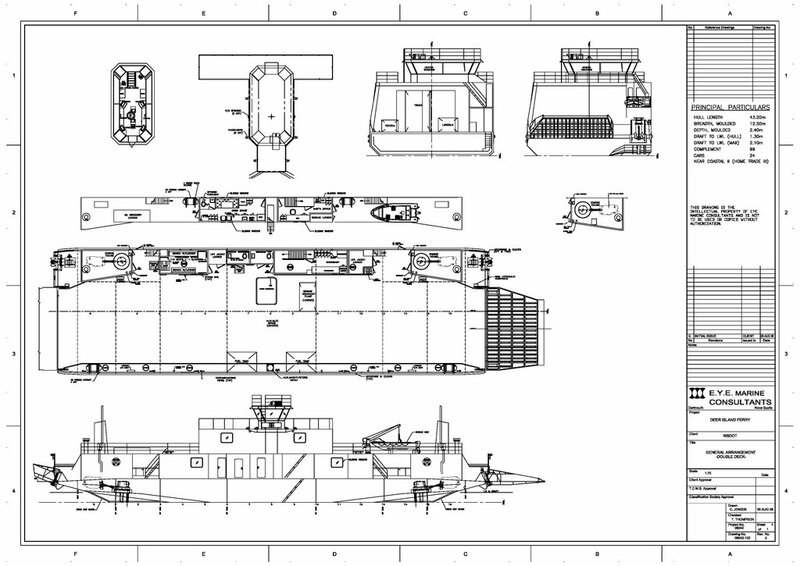 The deckhouse was designed to allow for the crew to access from the wheelhouse down to the auxiliary machinery space below deck without the requirement of going outside. Check out the video on our YouTube channel for the Abnaki II.